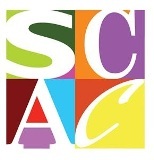 Truman Capote said the secret to a writer’s success was to “write what you know.” He said sit around the dinner table, listen, and the story would write itself. Capote learned this strategic tactic from his eccentric family and later from his famous and infamous jet-setting friends who provided a plethora of grist for his Southern mill. In Tiny Terror, a volume in the Inner Lives Series by Oxford University Press, the author explores Capote’s inner and outer territories, beginning in his hometown of Monroeville, Alabama, where he drew upon early family bonds to craft some of the world’s most famous short stories (“A Thanksgiving Visitor” and “A Christmas Memory”). 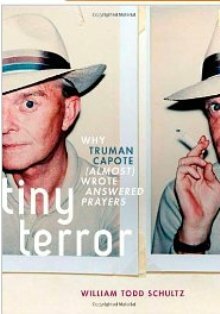 What I found particularly interesting about Tiny Terror is that the author defines Capote’s personality perfectly: he was a tiny terror (short but ferocious) with lifelong attachment issues that afflicted everything he wrote. He was a brilliant, precocious youth that his relatives did not know how to manage, and he quickly learned that as an only child abandoned by his mother, he could have his way by manipulation, tantrums, or simply by being adorable. But why stop there? His adult life was marked by these same traits. He partied, drank heavily, took drugs, and wrote about all of it in his quest for fame, mental peace, and acceptance. Though he had many relatives, these were not “necessarily family,” and thus he developed the “muscles of a barracuda.” He brought that barracuda mentality to articles he wrote in anticipation of writing a lengthy book, Answered Prayers, in which he betrayed the confidences of his wealthy female friends whom he called his “swans.” They despised him for his disloyalty. It seems incredulous that Capote would write something that he knew would blacklist him, but he could not stop himself. After all, he was born to write and to write about what he knew. His writing had brought him acclaim and was the one thing that had not failed him. But Capote could not finish his work; he had used himself up, creatively speaking. Alcohol, drugs, entanglement with the murderers he wrote about in In Cold Blood, contributed to his sad ending. Marianne Moates Weber is a freelance writer living in Prattville, Alabama, and is the author of Truman Capote’s Southern Years.